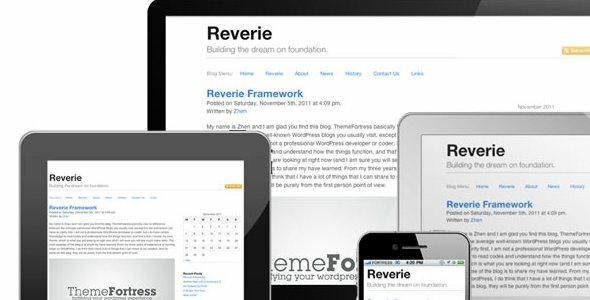 Following up on yesterday’s look at 5 Stunning Responsive WordPress themes, today we take a look at 4 of the most popular responsive WordPress theme frameworks. Why only 4? Well I could write up a list of 10 and then you could go spend another checking out those 10 options. Stuck on time? Thought so! Listen ANY of these frameworks are great starting points and if you’re only getting started with responsive design you should just pick one and dive in. 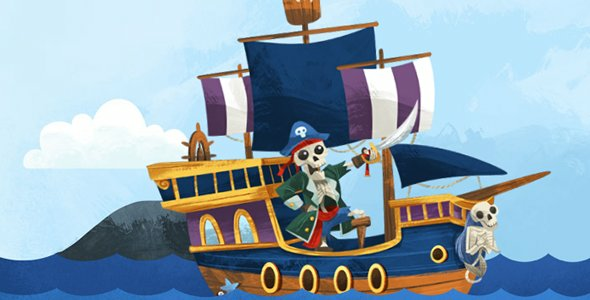 For those unfamiliar with what a theme framework is, think of it as a well developed skeleton theme that has a well defined method and process for extending the skeleton into your own theme with it’s own look, feel and functionality usually via a child theme. We’ve covered a lot of frameworks here over the last couple of years including my own personal favourite the Genesis framework from StudioPress. But seeing as we’re knee deep in responsive design research at the moment I thought it would be worth sharing with you the wonderful array of theme frameworks that have popped up over the past 12 months that are specifically optimized for responsive web design. We covered Roots not long after it launched almost a year ago. Roots has grown from strength to strength in the intervening period. 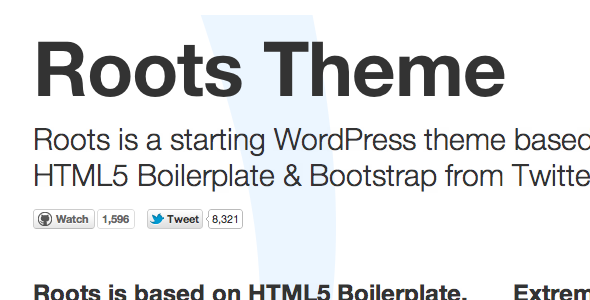 Roots inherits a lot of it’s responsive traits from it’s ancestry which includes Twitter’s Bootstrap. Roots is definitely not for a beginner though in my opinion. It’s best suited to someone who can already confidently put together WordPress themes and who now wants to extend their skills into what I consider to be ground breaking territory in terms of WordPress theme development. If the best responsive framework was to be judged based on it’s homepage design then Bones would win hands down! I love the meticulous detail which has gone into the file structure and CSS source. Bones inherits some of it’s responsive concepts from Andy Clarke’s 320 and Up. Bones is a great theme to get started with responsive WordPress theme design and also now has an optional Genesis framework version which is pretty cool. I’ll be honest I’ve not spent a huge amount of time playing with Reverie just yet but it’s on the todo list. Plus I’ve also spent a good bit of time playing with it’s bigger brother – the Foundation framework from Zurb which is taking the web design world by storm at the moment. Reverie takes things a bit deeper into WordPress adding some custom filters for things like image tags to ensure they are wrapped with figure tags. 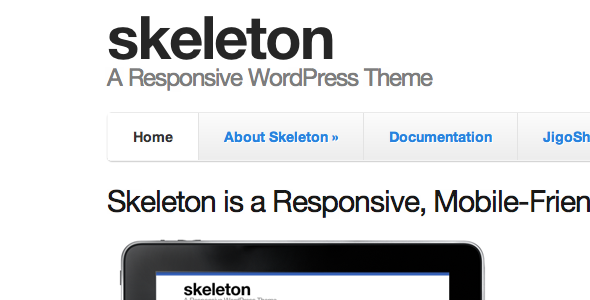 Last but not least is my favourite responsive WordPress theme framework at the moment – Skeleton. Why is Skeleton my favourite? Well it’s built by the folks Simplethemes which means it’s been battle hardened by a professional theme shop. Second, it is based on the wonderful and lightweight Skeleton responsive CSS framework. If you’re just dipping your toes into the responsive theme development world my recommendation is to give Skeleton a spin. Been playing around with Bones and I really love the way it’s built.